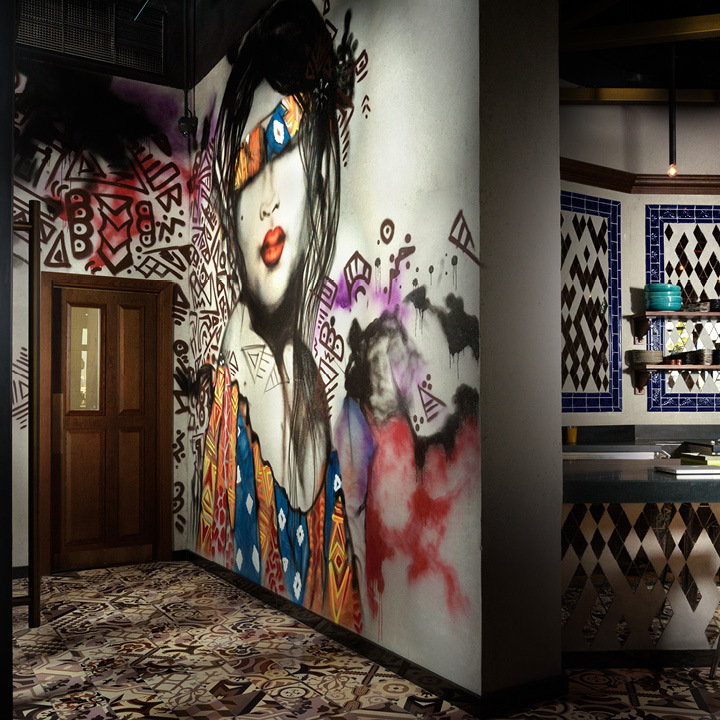 Aji is a modern day interpretation of days gone by, with an easy laid back charm; mixing a bold South American palette with a contemporary twist on the traditional Peruvian aesthetic. 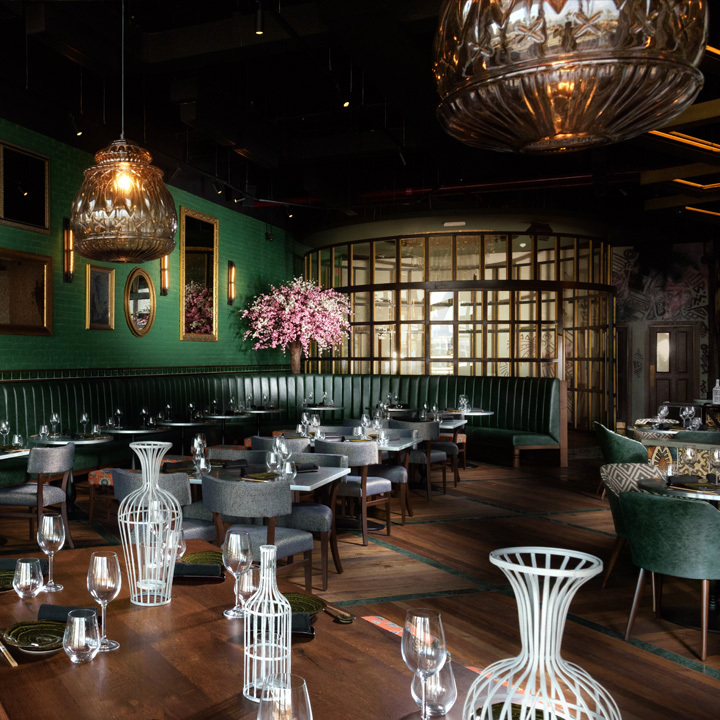 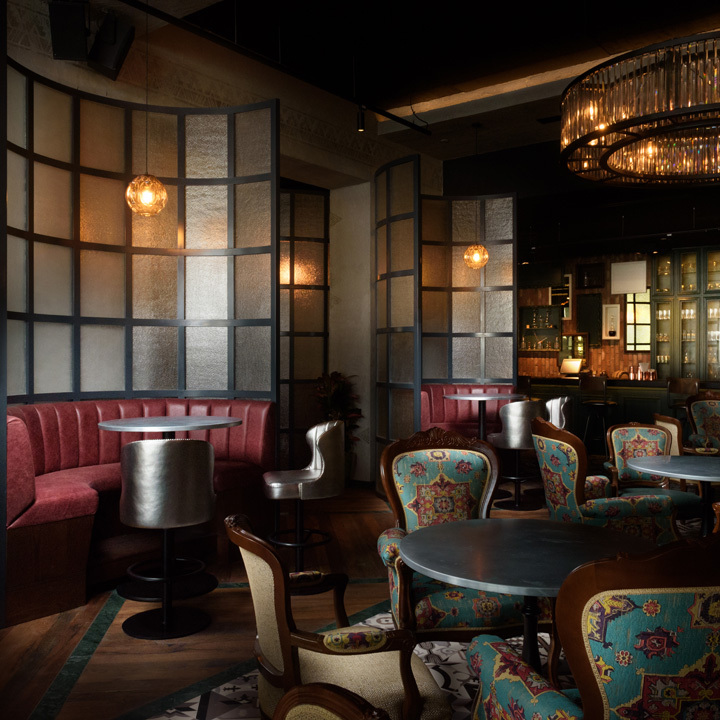 By capturing the mixed DNA of the centuries old Nikkei tradition and blending quintessentially Japanese and unmistakably Peruvian elements, the interior offers a contemporary interpretation with a depth of distinction. 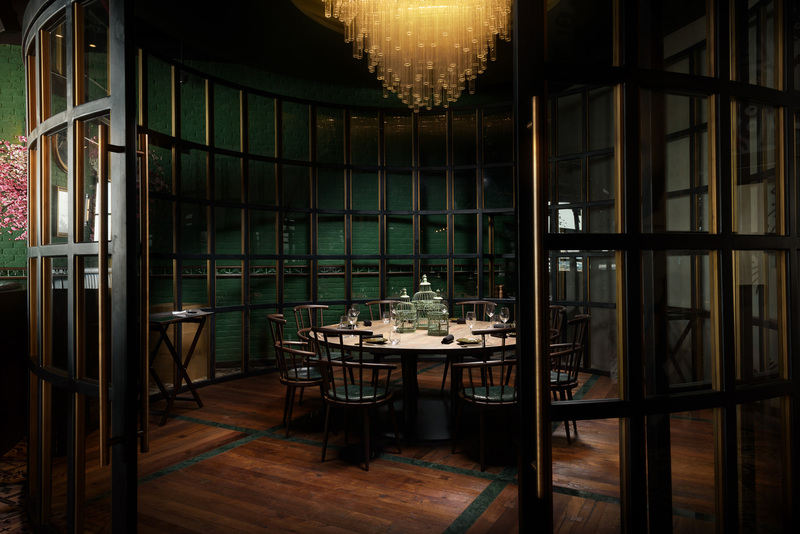 Featuring bold architectural details, such as the Aztec carved-concrete vaulted ceiling and double height mild steel and crittal glass screens there are features that anchor the very dynamic palette. 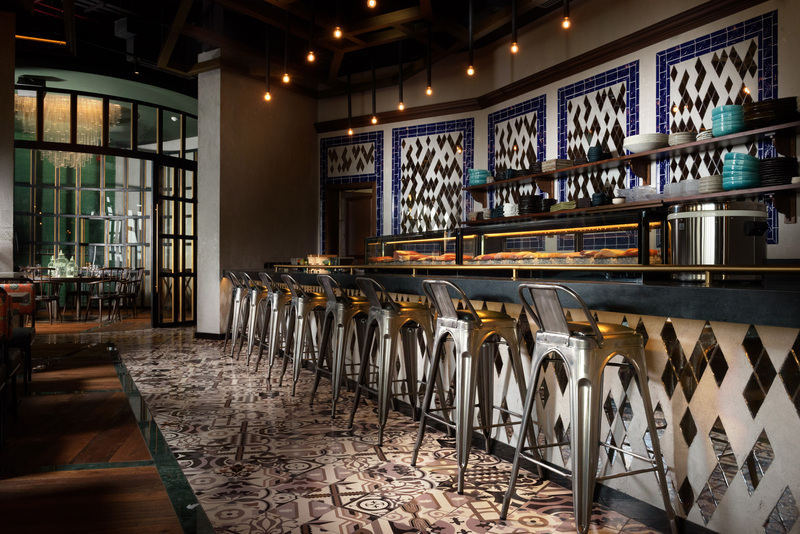 Featuring a mixture of highly polished materials such as mirror, metallic leathers and polished marble floor insets with rustic timbers, etched concrete, Japanese graffiti, traditional inspired Peruvian tiles and antique-looking fabrics complete the look. 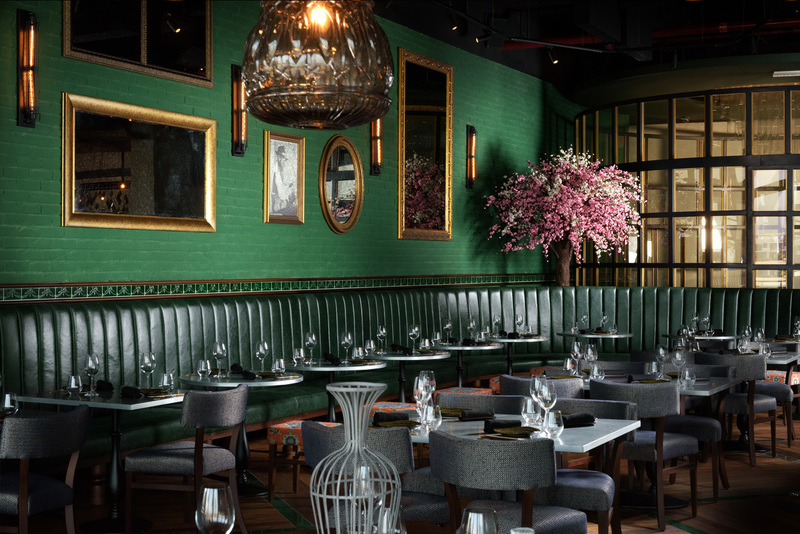 Aji opened in late 2016 and has gained a great reputation locally. 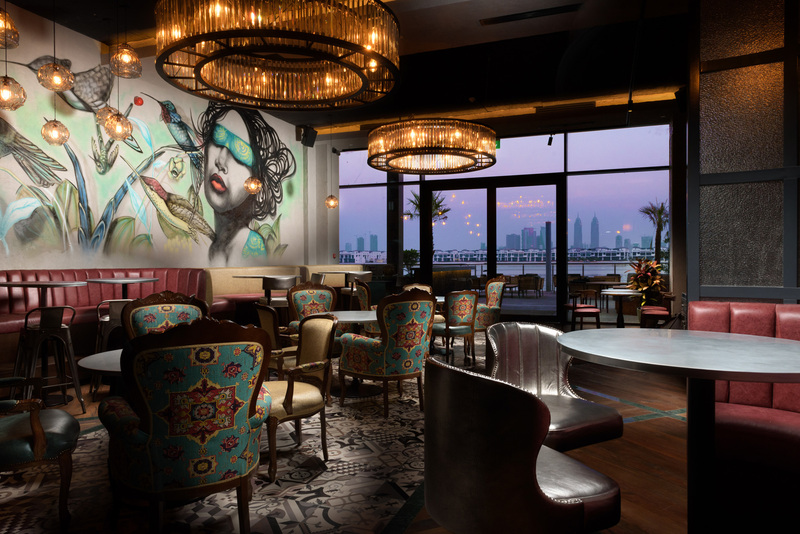 It was shortlisted for best restaurant design in the UAE’s Index Architecture & Design Awards 2017 and Best Restaurant Middle East & Africa at the international Bar & Restaurant Design Awards.